Say hi! Ask us stuff. Or tell us stuff. Whatcha got? SIGN UP for our NEWSLETTER for FREE Character Building Tips, FREE downloadables and loads of cuteness! Just send us your email address. We appreciate you reaching out to us! You'll receive an email response as soon as is humanly possible. Until then, go play! Welcome to Silly Street! We are a brand of Character Builder games and puzzles for kiddos. Check us out to see how we help little ones build Character Skills like bravery, grit, empathy and more. 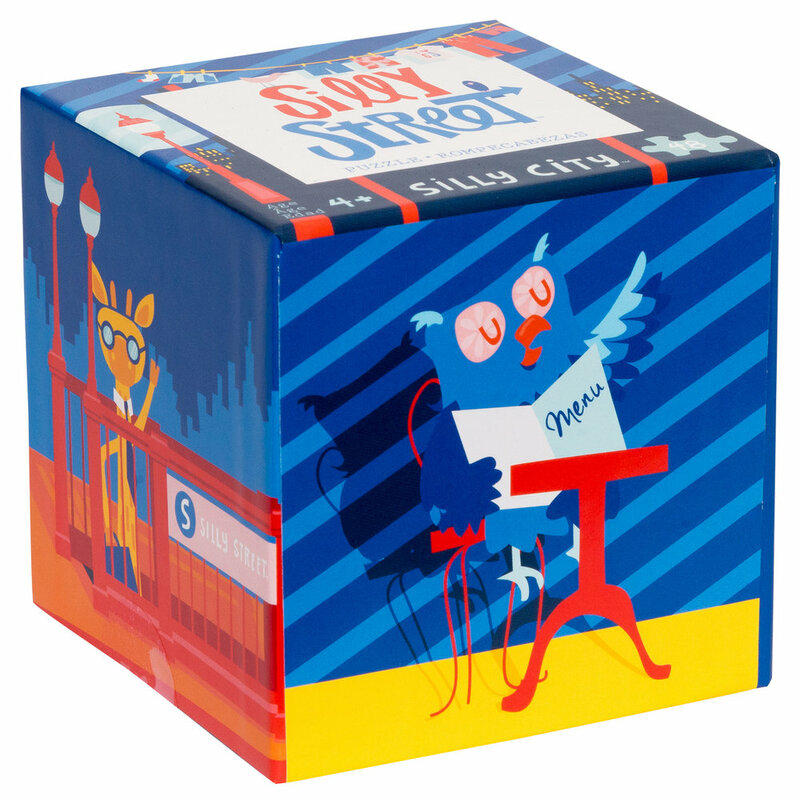 In the Silly City children's jigsaw puzzle a colorful and silly cityscape comes to life with adorable little buildings and city happenings. Look closely and you will find the Silly Street menagerie peeping out in unexpected places. Silly Street puzzles helps kids build Character through play. Kiddos love to interact with our quirky menagerie in silly scenes. There's nothing to puzzle about here, they are just good fun for your little ones! Each Silly Street puzzle contains 48 pieces and is for ages 4 and up. 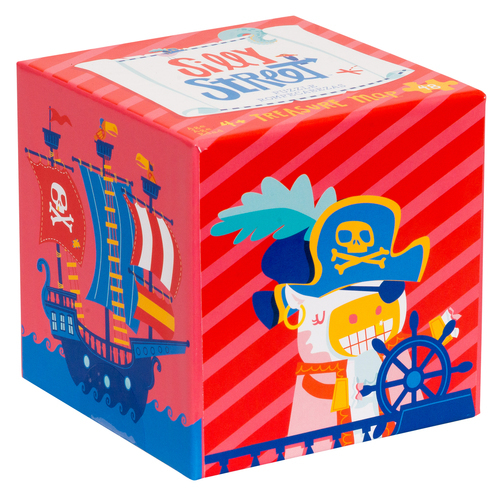 Kids love the modern designs and relatable themes such as birthdays, travel, pirates and city adventures! Collect all 4! Collect all 4 puzzles: Happy Birthday, Silly City, Treasure Map and So Fly! The only things that like birthdays more than kids are the Silly Street menagerie. In this children's jigsaw puzzle, you can join them as they celebrate and get their silly on, in this fun and entertaining birthday scene. 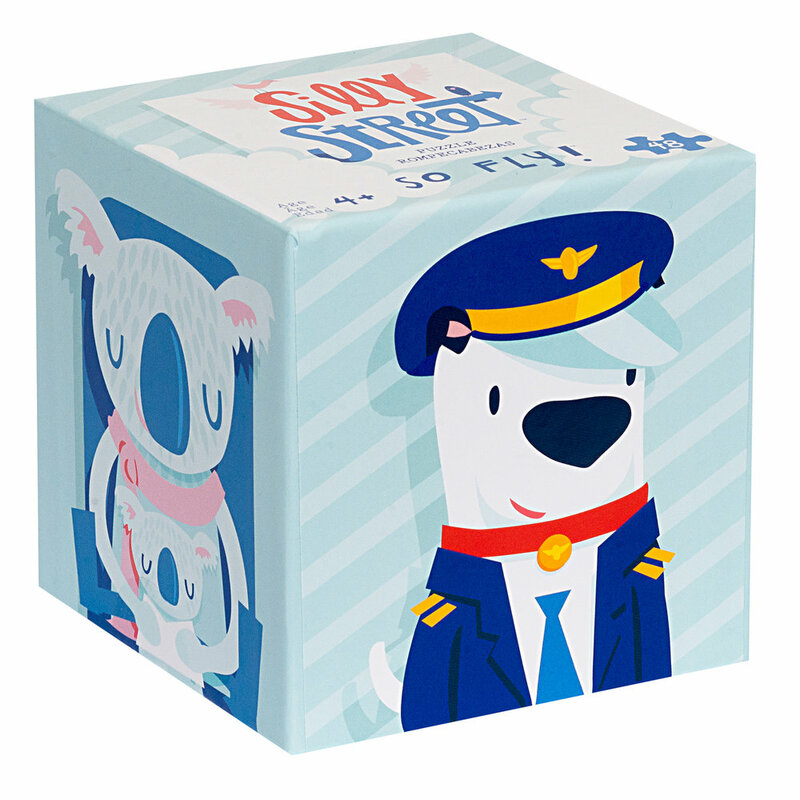 Silly Street puzzles helps kids build Character through play. Kiddos love to interact with our quirky menagerie in silly scenes. There's nothing to puzzle about here, they are just good fun for your little ones! Each Silly Street puzzle contains 48 pieces and is for ages 4 and up. 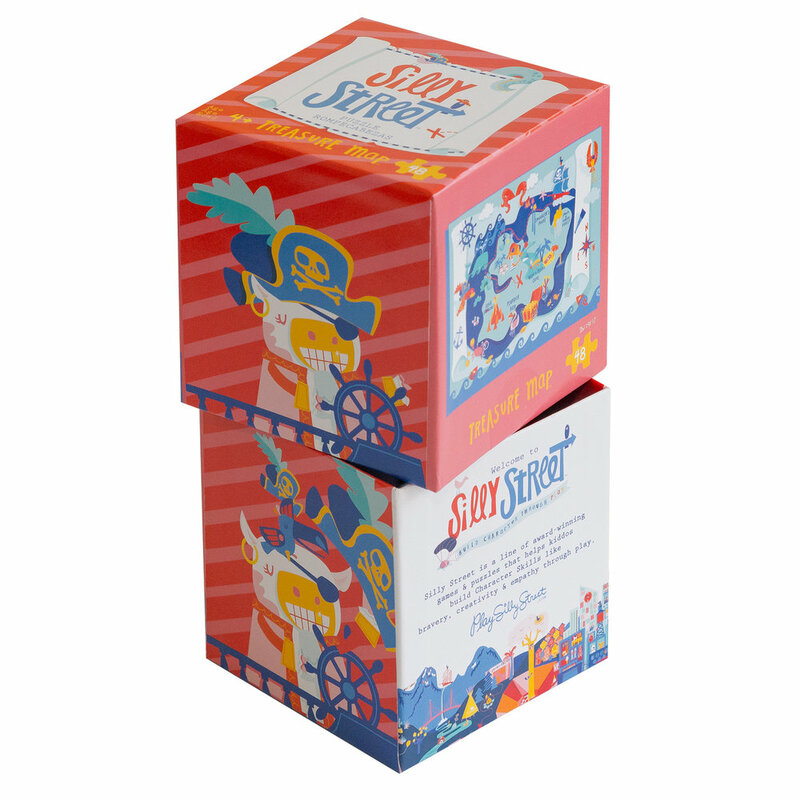 Kids love the modern designs and relatable themes such as birthdays, travel, pirates and city adventures! Collect all 4! 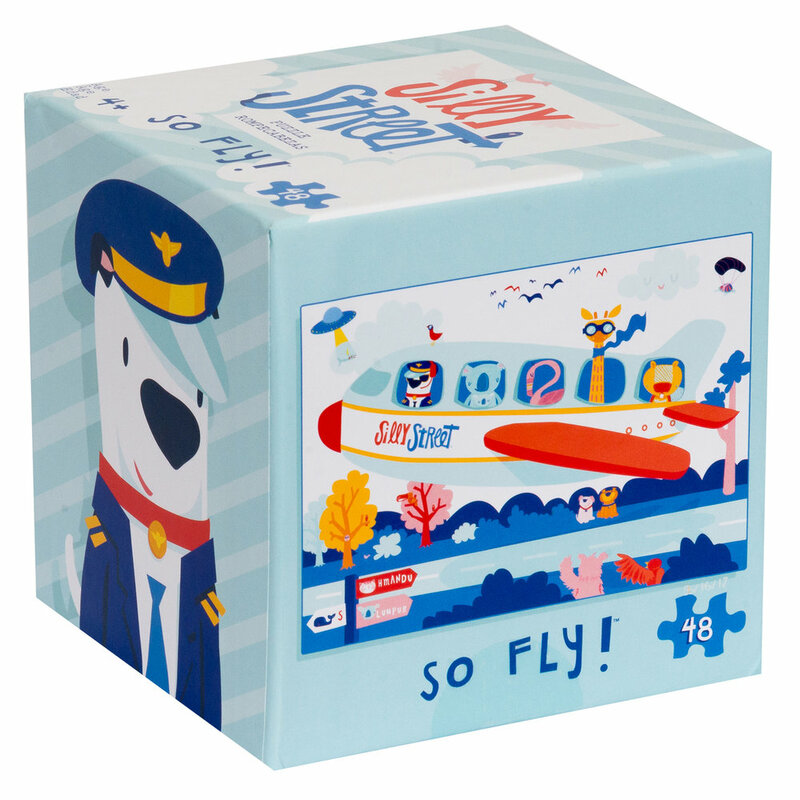 In the So Fly children's jigsaw puzzle the Silly Street menagerie sets off on their next adventure. Wave goodbye as they take off on their jet plane. Bon voyage! Silly Street puzzles helps kids build Character through play. Kiddos love to interact with our quirky menagerie in silly scenes. 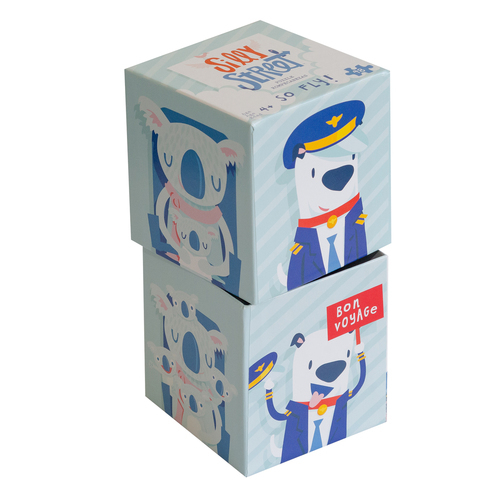 There's nothing to puzzle about here, they are just good fun for your little ones! Each Silly Street puzzle contains 48 pieces and is for ages 4 and up. 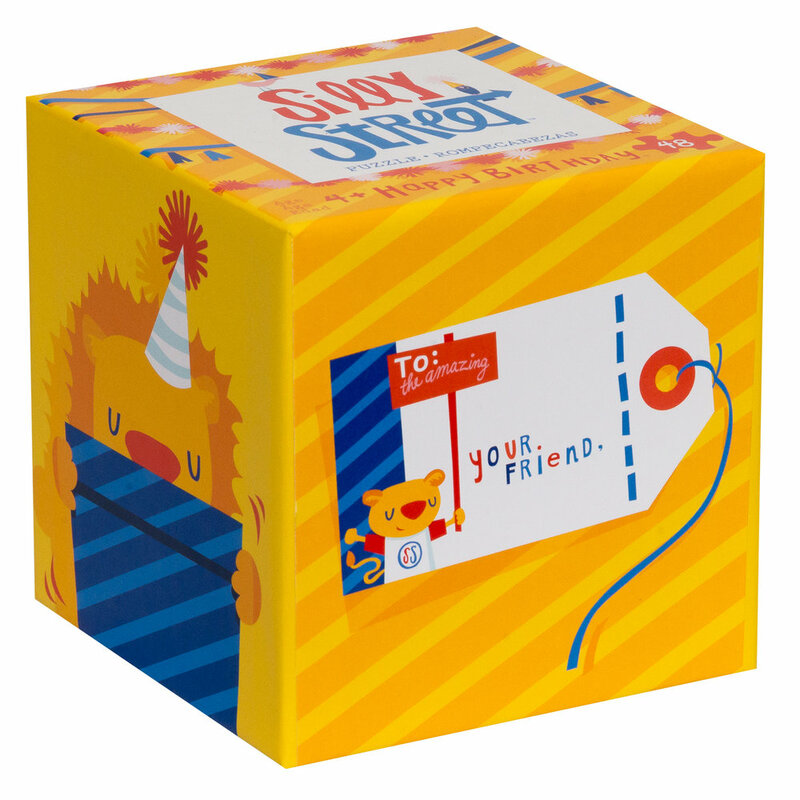 Kids love the modern designs and relatable themes such as birthdays, travel, pirates and city adventures! Collect all 4! 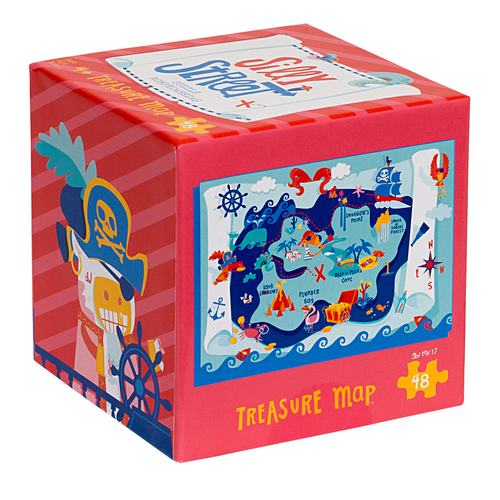 In this children's jigsaw puzzle you can sail the seas with this epic pirate treasure map. Explore the twists and turns and unexpected places with the Silly Street menagerie on this quest for treasure & adventure. Silly Street puzzles helps kids build Character through play. Kiddos love to interact with our quirky menagerie in silly scenes. There's nothing to puzzle about here, they are just good fun for your little ones! Each Silly Street puzzle contains 48 pieces and is for ages 4 and up. Kids love the modern designs and relatable themes such as birthdays, travel, pirates and city adventures! Collect all 4!